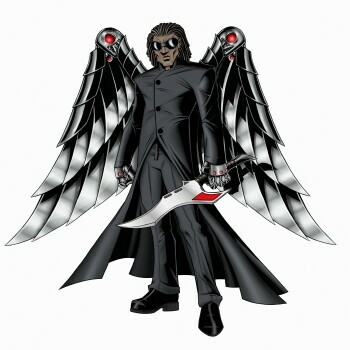 Hey folks, Valkor here welcoming you to our new section, AniView. It's your one stop for all things animation here at TOV. My reasoning behind this section is quite simple: We've been getting a lot of animated films, TV box sets, etc, so much so that I want to give animation its own section. Imagine seeing a link to "The Smurfs" and right next to that is a link for the new "Friday the 13th". I also wanted a place to cover animated related product such as action figures, statues, and of course, Japanese animation (Anime). 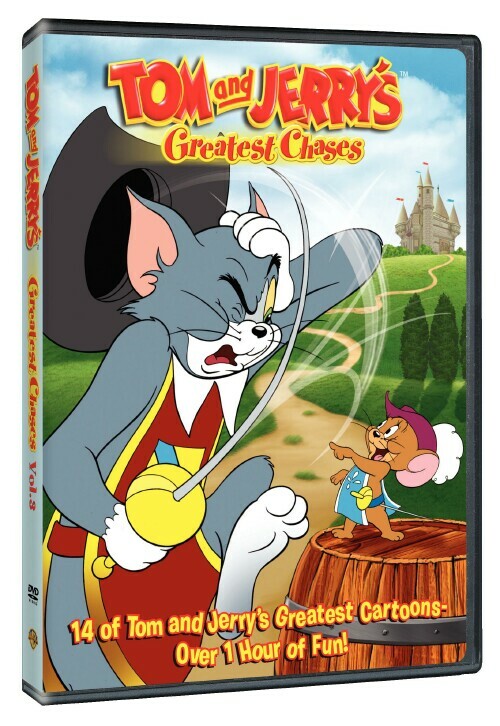 But we're kicking things off with the latest DVD from Warner Bros, the third volume in the Tom and Jerry series called "Tom and Jerry's Greatest Chases Vol. 3". Does the fun continue or do things peter out a bit? Would you believe both? 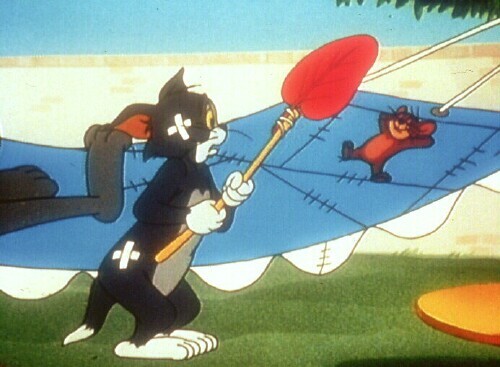 The Flying Cat – Tom dons a pair of wings to chase after Jerry and his new birdy friend. Who knew cats could fly? Pecos Pest – Jerry's country singing uncle Pecos stops in for a visit, on his way to his television debut. 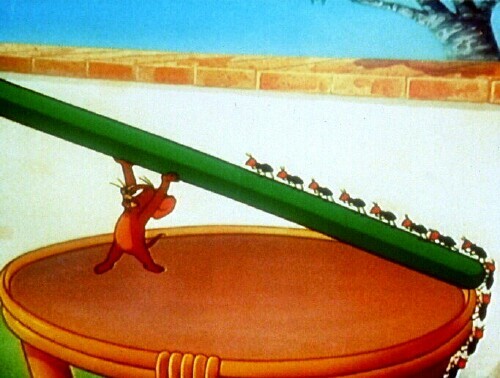 When he gives Jerry a sample of his song, the strings keep breaking, which can only be replaced by the whiskers of Tom. That song is damn catchy. The Night Before Christmas – Tom gets into the spirit after chasing Jerry out into the cold, on the eve of Christmas. This one will definitely tug at the heart strings. Baby Butch – Butch the cat pretends to be a baby to get at Tom's food. But enter jerry who also wants the food and soon it becomes a race of who gets the Ham. Puttin' on the Dog – Jerry finds sanctuary from Tom in a Dog Pound. But that won't stop Tom from dressing up as a dog to get his dinner. Does this cat know no bounds? Extras include trailers for Volume 2 of Greatest Chases, Batman: the brave and the bold, Scooby-Doo and more. If you have the first two volumes then definitely include Volume three of "Greatest Chases" to complete the set. It definitely has some laughs, not from the eps mentioned above but from other eps as well. Plus the audio really shines as there's more bass to the music. Compared to Volume 2, some eps aren't as much fun and tend to get rather drab. But that's more nitpicking than anything else, because what's not funny to me, might be hilarious to others. 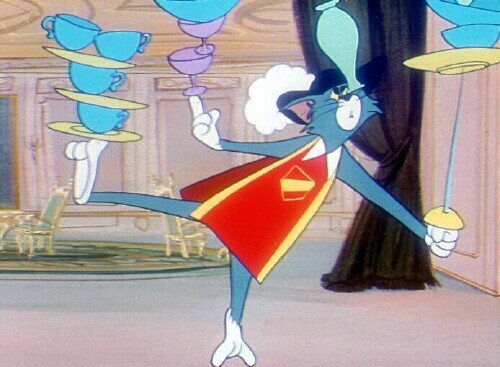 I will say this, I love the "Tom and Jerry: Greatest Chases" DVDs and volume 3 is no exception, because it's really a lot of fun, especially when you can watch them all in a sitting. But for volume 3, out of TOV 5 stars, I give this set 3.5 stars and it's been Valkor tested and TOV Approved.